Car wreckers or auto recyclers are a rich source of usable parts not only for current models but also for vintage classic cars. You can check out their website for inventory list, or make the rounds of local recyclers and inspect cars from which you will be allowed to extract parts if a part is not already removed and ready to cart away. Instead of spares you can also buy the whole body of a vintage classic and restore it if that is what you want to do. You can carry tools and a cart but wreckers may not allow torches and jacks. They may have tackles and winches and platforms on which the cars can be placed to remove parts. You can first check with the person in charge to know about the availability of a part or a car from which that part can be extracted. The helpful person will usually point you to a digitized map of the yard. Pulling parts means that you avoid paying for labor and the part really costs you next to nothing considering its market price. You will have to sign a waiver before you enter the yard. Security personnel will check your tool box at the time of entry and exit. If you carry a part with you to match it with a part you want, get it listed and entered otherwise you will be charged for it. Wear shoes because flip flops might not be allowed inside lots of some car wreckers. Only those 17 or 18 years of age and above may be allowed entry. Some form of personal identification papers is necessary. However, car wreckers do not charge any entry fee. 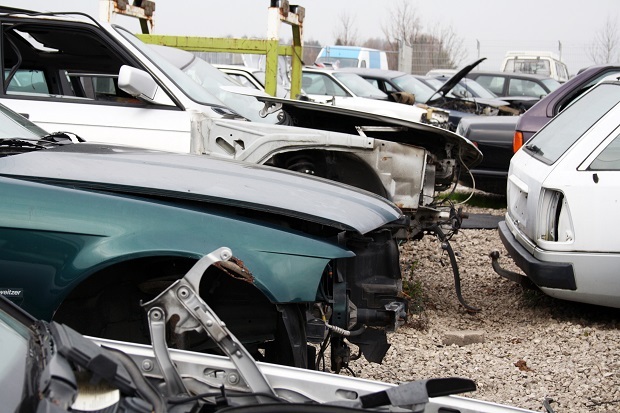 There is no limit to the number of times you can visit car wreckers. However, it is smart to let them know about the part that you want. Some wreckers will have parts for just about any brand of international vehicle and will ship anywhere inside theUS. Some are even connected with a nationwide chain of auto recyclers and also have access to international recyclers. A reason to prefer car wreckers is that they salvage OEM parts that are in good condition. If you want OEM parts and not aftermarket parts, car wreckers are the source you should consider. You can also sell your junk car that has reached an end of life to car wreckers and get a good price. Simply fill in an online form detailing model, mileage, make, condition and other details. You do not need to have original papers of the car but you will need to provide your proof of identity. The car is picked up from your home and you can get cash on the spot.